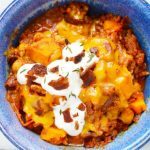 This Instant Pot Sweet Potato Chili is not your typical chili. Although it includes many familiar chili ingredients, it also has some unique additions that make this chili stand out from the pack. When I think of chili, I think of meat, beans, onions, garlic, and tomatoes. 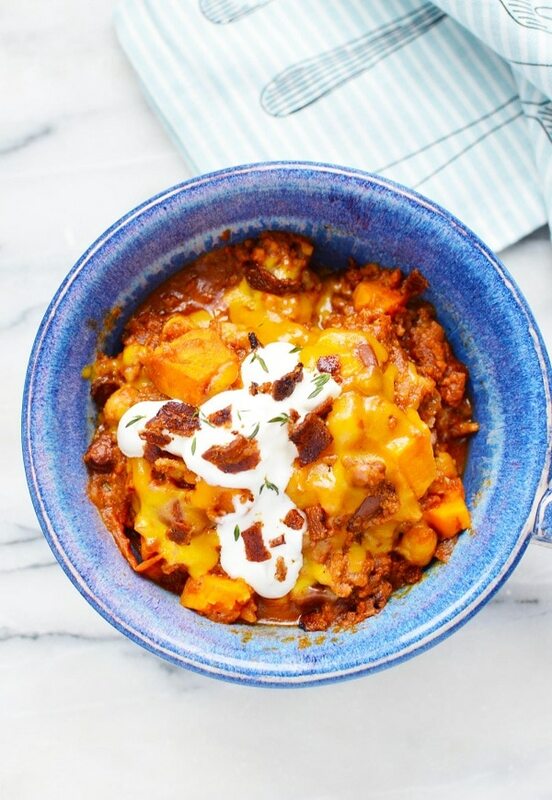 You’ll find all of those familiar ingredients in this Instant Pot Sweet Potato Chili. What sets this chili apart are some of the other ingredients. In addition to “traditional” chili ingredients, you’ll also find, sweet potato, chickpeas, and Guinness (if you choose to add it). These additional ingredients add flavor, texture and nutritional benefits to this hearty, popular dish. For many popular chili recipes, the secret ingredient is something that adds a hint of sweetness – chocolate, brown sugar, and even peanut butter. Sweet potatoes are a really nutritious way to add a sweet dimension to chili. The biggest health benefit of sweet potatoes is the amount of beta carotene they contain. Beta carotene helps reduce your risk of cancer and can help slow cognitive decline. Plus, it helps your vision! Sweet potatoes are also a great source of fiber. This is good news if you suffer from constipation and great news if you are worried about your cholesterol or blood sugar levels. 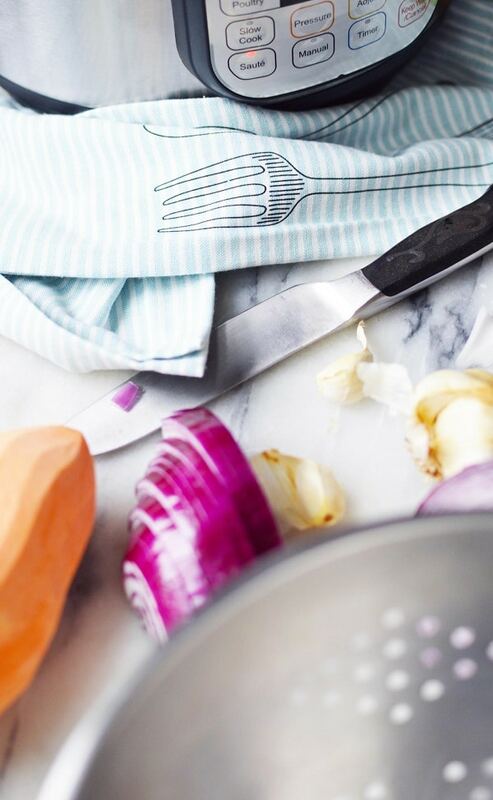 The choline found in sweet potatoes can help you sleep better. It also has positive effects on learning and memory. 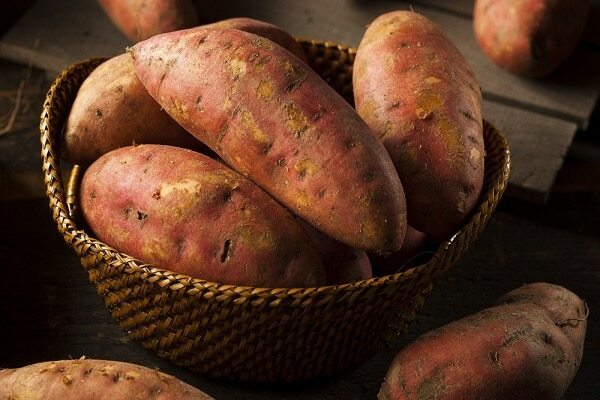 Finally, several of the nutrients in sweet potatoes help you maintain a healthy weight. Personally, I love any food that tastes great and I can enjoy guilt-free. I know there are a lot of great beanless chilis out there. You just won’t find them on my site because I think they are too good for you to leave them out of recipes where they fit so well. Chili is an obvious place to use beans and I never make it without them. I do, however, mix and match beans depending on what I have on hand and sometimes, just for variety. All of the beans listed above have under 135 calories per 1/2 cup serving, 7 – 8 grams of protein, and 6 – 7.5 grams of fiber. 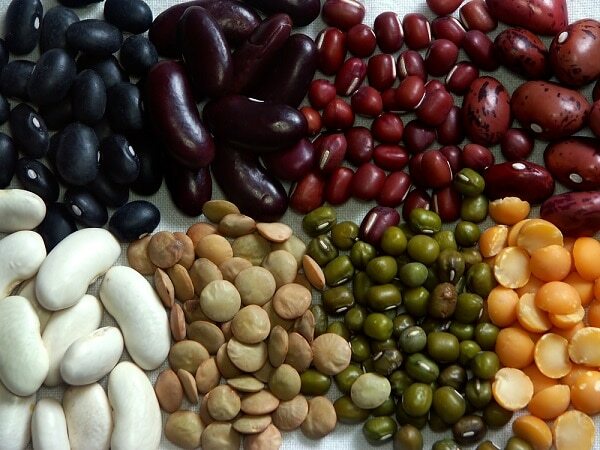 See this Bean Comparison Chart for full nutritional information on these beans, plus several others. You can absolutely make this chili without beer. Simply substitute an equal portion of vegetable broth and you’ll have a delicious, satisfying chili. If you are worried about the alcohol in beer, you shouldn’t be (for this recipe). 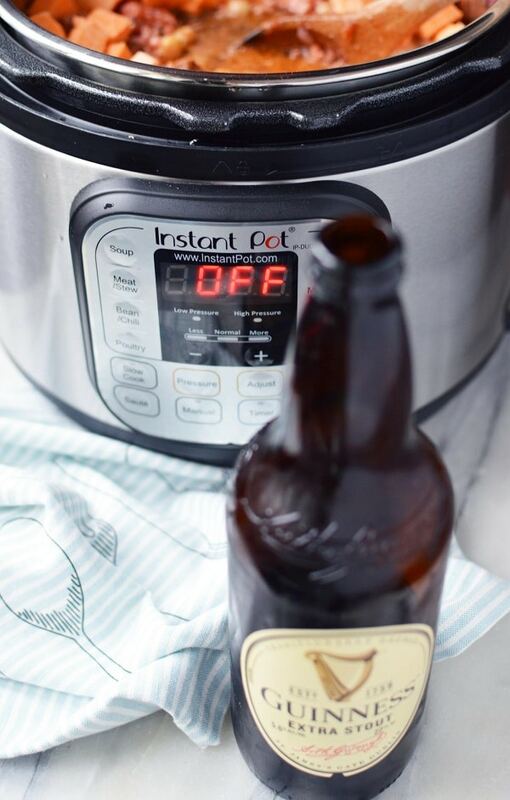 Even though the alcohol is “trapped” inside your pressure cooker and thus can’t evaporate away like it does in other cooking methods, it will become part of the vapor and most of that will be released when the pressure releases so you can safely remove the lid. The reason you’ll want to use Guinness instead of broth or water is because of the rich, earthy flavor that works especially well in hearty dishes like chili. And though you don’t have to use Guinness specifically, you’ll want to stick with a dark stout. Honestly, I’m not a beer drinker so it was forever before I tried adding it to chili. Once I tried it, I’ll never go back. It really does bring out the other flavors without overtaking the dish. 1 pound of ground meat we have used both beef and pork, both work well. Select the sauté setting for your Instant Pot. When the display reads "hot" add the ground beef and cook until fully browned, breaking up the meat into small crumbles as it cooks. When the meat is fully browned, drain the fat and set the beef aside in a bowl. Return the liner to the Instant Pot and add ½ tablespoon of olive oil. Toss in the finely chopped onions and smashed garlic cloves. Cover with a standard pot lid until translucent and then lightly browned. This is where a ton of great flavor comes from so you won’t want to skip this step! Pour in all of the rest of the ingredients and stir until fully combined, making sure the meat is broken up into small bits and pieces. Double check the seal and twist on the locking lid then cancel the sauté setting and select manual mode, high pressure for 8 minutes. When the pot beeps and the pressurized cook time has ended, let everything natural pressure release for 2-4 minutes before carefully opening the release valve. If a lot of starch begins to spray, close the valve and wait a few more minutes before trying again. Stir the chili from the bottom to the top and let cool for a few minutes while you get your toppings around. Spoon into your favorite bowls, top and enjoy! The chili was Amazing!!!! I like my chili a tad thicker so I might decrease vegetable stock by 1/2 cup and I might decrease time by a couple minutes. I was worried about the sweet potatoes not cooking enough so I made them in smaller cubes and they turned out too soft. Besides those 2 things I will definitely be adding this to my dinner rotation. This is the best chili ever! Everyone in the family raved over it. Making it for the 2nd time tonight and I’m excited as I hear it come to pressure right now! Thank you for this recipe. It is bookmarked and one I will come back to often!! After I cooked the beef… then the onions/garlic… I took out the pot insert and washed it completely before adding all the ingredients back in to cook… just to make sure I removed all the bits that had stuck to the bottom of the pot. After the 8 minutes of cooking and release after 4 more minutes, my sweet potatoes were not done. I cooked again for 5 more minutes and they were still not done. After another 4 minutes, they softened up finally. They are still not overly soft but good. Wonder what I may have been doing wrong to slow down the cooking process? That should have been sufficient time to make the sweet potatoes tender. I don’t think you did anything wrong, it’s likely I need to specify something more in the recipe. The sweet potato chunks might need to be smaller so they cook faster. Did you stick with the measurements in the recipe card (a cup and a half of 3/4 inch cubes)? I’ve been reworking this recipe since a couple people get the burn error even after making sure the ground meat has been completely cleaned from the bottom of the pot. It may be an issue of needing more liquid too but I need to experiment more to make sure it doesn’t negatively affect the outcome. Thank you for the feedback. I am getting the burn notice too. 🙁 It smells amazing but just didn’t cook. THANK YOU THANK YOU THANK YOU!!! I made this with the beer and did get the burn notice but after scraping the bottom and stirring it cooked perfectly. It was good last night but even better today!!! 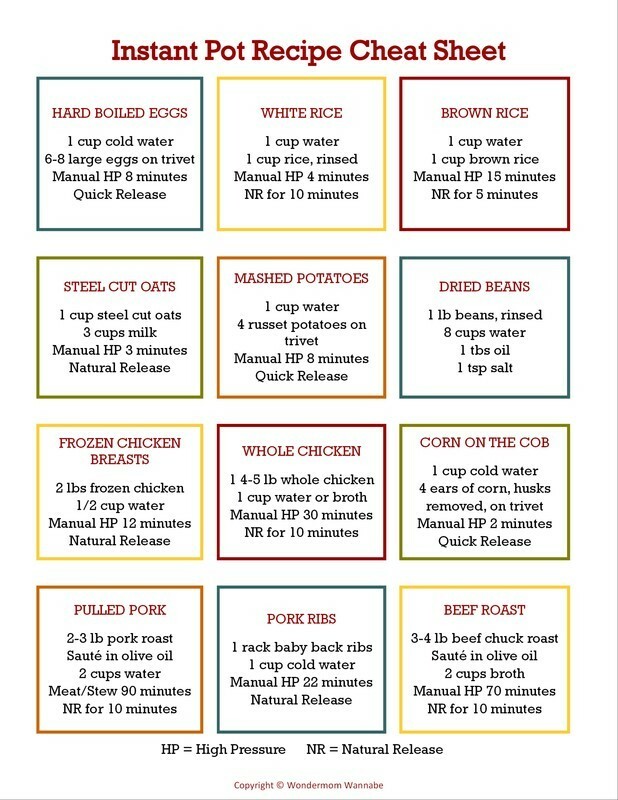 I HATE to cook but now I’m very excited to try additional easy recipes. Thank you again and I’m looking forward to more Instant Pot cooking! Hi Corrine – success this time! This time I didn’t stir the ingredients. It was suggested to me that I layer the meat on the bottom (I used turkey) and the rest of the ingredients on top of it and this time it came out perfect! No burn notice! Thanks for the great recipe! I just got an instant pot, and this was my first successful meal (besides hardboiled eggs)!! Was told this was the best chili I have ever made, so you bet I’m printing the recipe card and saving it. Only change I’ll make for next time is a bit less beer – it was slightly bitter. Not so much where it ruined the meal, but I’m sure once the spices sit in it for a day you won’t be able to tell. I’m so glad it turned out well for you! Thanks for the feedback. And welcome to the Instant Pot family!! I’m sorry to say after three attempts to clear the burn notice, I had to transfer it to the stove and finish cooking it that way. I followed the receipt exactly and even added more water but couldn’t get it to not stick to the bottom of the pan. Hi Elissa, this recipe has a really low risk of burn error. There is plenty of liquid between the crushed tomatoes and beer or stock. The only thing I can think of is that in saute mode, a lot of the meat or the onions and garlic burnt to the bottom. If they were stuck there when the pot was trying to come to pressure, the sensor in the bottom of the pot would register a burn. Also, if the venting knob wasn’t completely in the sealing position too much steam might have escaped leading to the burn error. I’m sorry the recipe didn’t turn out for you in the Instant Pot. I appreciate your feedback, which helps guide possible changes to the recipe or directions. Have you made this without meat? Could I just add more beans instead? I haven’t made it without meat, but you can definitely omit it and just add an extra can of beans. Hi Kathy, thanks for asking. Somehow I deleted an entire sentence in the middle of the first step. After setting the pot to saute, you are supposed to add the ground beef, then proceed to the onions and garlic. Proofreading fail. I’m fixing it now. Thanks for asking because who knows how long it would have been before I noticed!